Feb. 14, 2018, 17 people were killed by an armed gunman at Marjory Stoneman Douglas High School in Parkland, Florida. This attack, now commonly known as the Parkland shooting, lasted six minutes but spurred a long-lasting nationwide movement to strengthen gun control laws in the United States. Zachary Miller, a Medill first-year, saw this in his own community. “There are a lot of people that I think wanted to say something but they didn’t have the courage, and this prompted them. There were a lot of people who stood up and made their voices heard at my school,” he said. Many of the Parkland survivors, along with students around the country, have become activists for stricter gun control, leading a national school walkout, a protest on the nation’s capital and collaboration with lawmakers. Some of the most vocal survivors – David Hogg, Emma González, Jaclyn Corin and Matt Deitsch – were awarded the 2018 International Children’s Peace Prize for their activism. In the year since the Parkland shooting, many states have taken action to limit gun violence. Eight states have passed red flag laws. Eleven states passed legislation making it more difficult for domestic abusers to obtain guns. Seven states passed new or improved background check laws. Nine states have funded programs to reduce urban gun violence. Five states have tightened concealed carry laws. Four states have raised the minimum age of gun ownership from 18 to 21. Still, little has been done on a national level. The only significant change has been a ban on bump stocks, a measure which has held bipartisan support since the Las Vegas shooting in 2017. Miller, too, is disappointed by the lack of meaningful change in the past year. “I think it was a step in the right direction that we have people advocating for gun control a little more forcefully, a little more loudly, but in terms of concrete steps forward not much has happened,” Miller said. He also said that he believes the next step is to enforce universal background checks. Despite this, voter support for gun control has declined over the course of the year. According to NPR, 71 percent of Americans supported stricter laws regarding the sale of firearms in the aftermath of Parkland. That number has since fallen to 51 percent. Similarly, only 42 percent of Americans believe gun control should be an immediate priority for Congress in comparison to 52 percent last April. Amid this decline in urgency, mass shootings remain a constant presence in the United States. Since the Parkland shooting, there have been nearly 350 mass shootings, which equates to almost one per day. As of Feb. 14, the 45th day of the year, 37 mass shootings have taken place, resulting in 60 deaths and more injuries. Currently, gun violence is the second leading cause of death for children and adolescents between the ages of one and 19 in the United States, accounting for 15 percent of their deaths. Democrats have traditionally argued that lacking gun control legislation is to blame for such frequent gun violence. The United States has some of the least strict gun control legislation among developed nations. Loopholes in background checks and the ability to avoid them by purchasing from private sellers, as well as laws that vary between states, make it difficult for the federal government to regulate or even enforce gun control restrictions. Similarly, popular support for certain interpretations of the Second Amendment have prevented the passage of legislation on a national level. Regardless of the difficulties faced in passing legislation, on the anniversary of the Parkland shooting, in which 17 lives were taken, advocates urge Americans to remember the lives of the victims and to continue honoring their legacies. 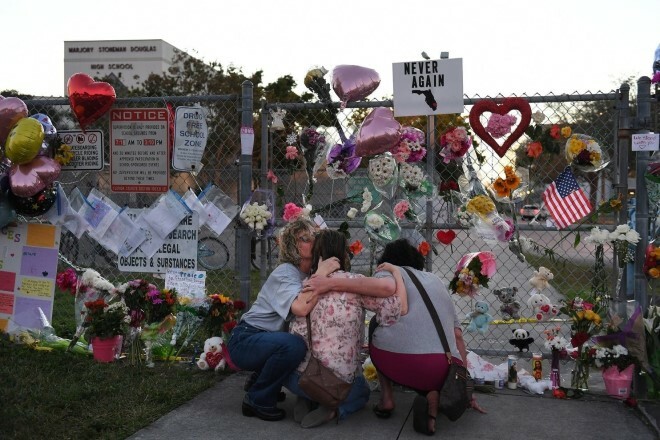 Marjory Stoneman Douglas High School did not hold regular classes today, instead choosing to host “A Day of Service and Love,” including a moment of silence in which the names of the victims were read, as well as opportunities for students to speak with mental health professionals and participate in service projects.